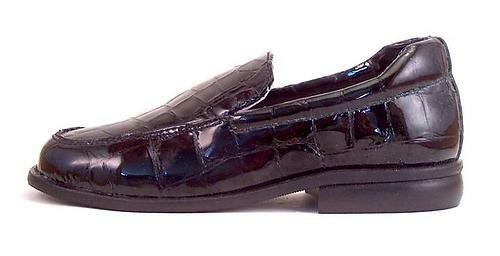 Classic loafers in premium croc-stamped patent. Handcrafted in Spain using top quality components. 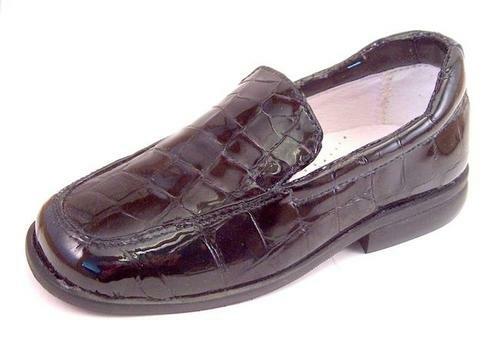 The patent is genuine leather (not vinyl) from Spain's premier supplier of luxury leathers for designer shoes. 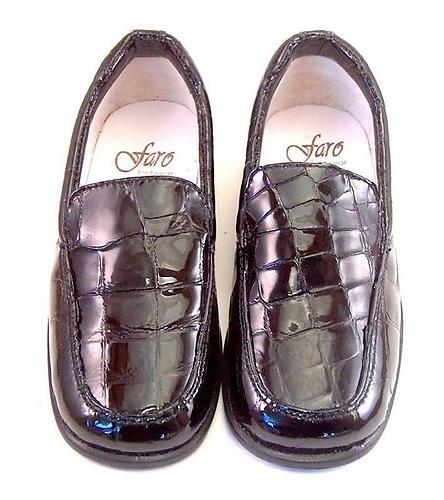 Full leather breathable lining and insole with cushioned arch support. Padded heel collar for comfort and secure fit. Sale. MSRP $105.00.